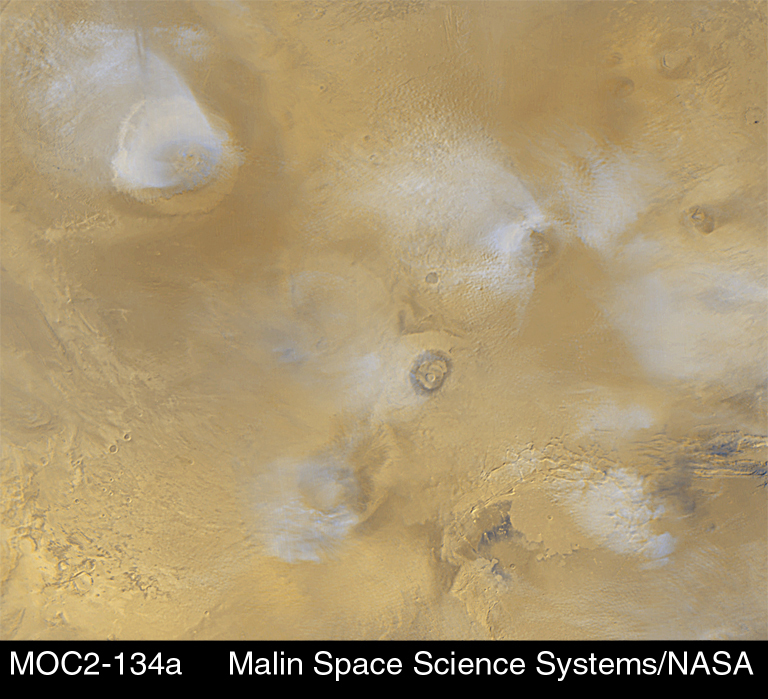 Opis: Ice crystal clouds float above the immense Tharsis volcanos of Mars in this recently released picture from NASA's Mars Global Surveyor spacecraft. Olympus Mons at the upper left is 340 miles across and almost 15 miles high - the largest volcano in the solar system. In this sunny afternoon scene, the clouds are formed as warm martian air containing water vapour rises up the volcanic slopes. The water vapour cools and condenses into ice crystals. 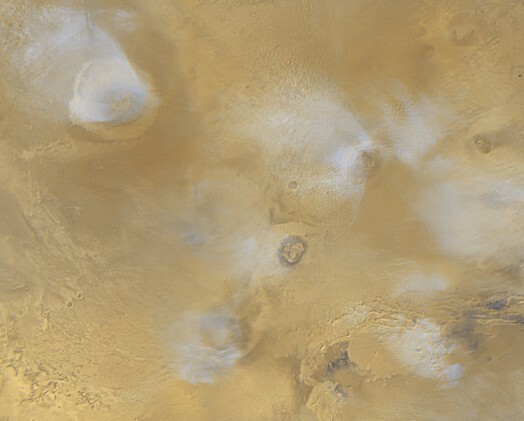 These reflective clouds are common in the Tharsis region, together creating a bright feature visible in earth-bound telescopes.